It's been a while since I've shared my nail polish with you! I got this one from my September Birchbox! What's your nail polish choice this week? So pretty I got the same one in mine and love it! I really love that color!! I am using Loreal Greycian Goddess right now. I think are going to use it at my sister's wedding in two weeks, it is a really great grey! 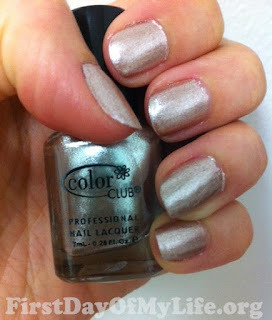 Well, I have on this awesome rose/coppery metallic called.... Put a pin in it!! 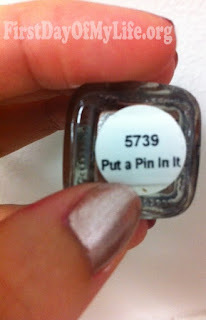 Got it in my September Birchbox;) Too funny!! Fun color! They have tons of cute colors @ Target right now. The cheapy line, ELF has really pretty holiday colors for 2 bucks. I have a gray one on right now. 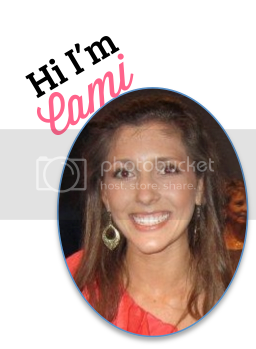 Hope you're enjoying the weekend, Cami!